Strapless high low prom dress. 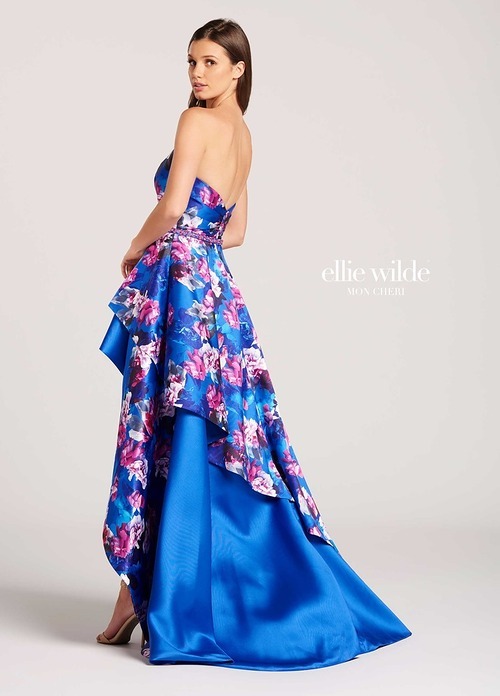 Ruched crisscross sweetheart bodice features slightly curved V back, beaded waist band and Printed Mikado over solid Mikado asymmetric high low skirt. Removeable Straps included. Available in ROYAL BLUE/MULTI, UK 6 AND UK 8 ONLY.